Daikokuya Inc., founded in 1947, has long been involved with the selling, buying, and pawning of precious metals and stones, watches, and brand-name products. 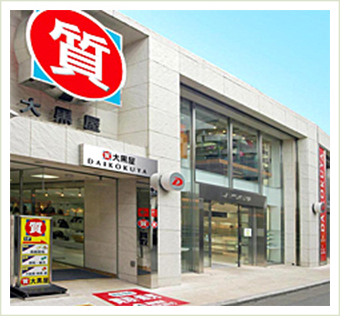 Presently, Daikokuya has over 30,000 items available at its 26 stores located in the Kanto, Chubu, Kansai and Kyushu regions. Each store offers a wide variety of products at exceptional prices. Products are bought both in-store and through the mail. All of our products have been certified as genuine items by our team of experienced appraisors. Daikokuya never deals in fakes or knock-offs. Our high quality goods and reliable service have become well known and beloved by many tourists. At Daikokuya, we strive to make sure that each visit is exciting and engaging. (i.e. : English, Chinese) at many of our stores. Please see the list of stores offering service in multiple languages below. 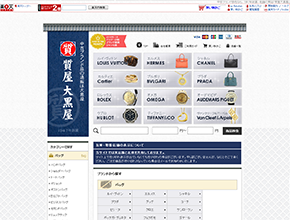 * Products available in store are also featured and offered for sale via Daikokuya Online. 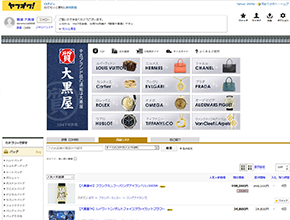 We feature reccomended items in the Daikokuya Online store. * Daikoku Online cannot ship overseas. * Only credit cards issued by Japanese financial institutions may be used for purchases. 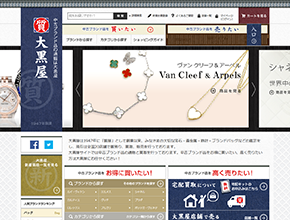 Stores offering service in multiple languages. * In some cases, staff is absent. Address SHA Bld.1F, 3-23-14, Shinjuku, Shinjuku-ku, Tokyo, 160-0022, Japan. Address 2-6-3, Shinsaibashisuji, Chuo-ku, Osaka-shi, Osaka, 542-0085, Japan. Ichigoshibuyabunkamuradori. Bld., 28-3, Udagawacho, Shibuya-ku, Tokyo, 150-0042, Japan. Takenaka Ginza Bld, 2-6-4, Ginza, Chuo-ku, Tokyo, 104-0061, Japan. Torikatsu Bld, 5-2-5, Ropponngi, Minato-ku, Tokyo, 106-0032, Japan. Guri-nhiruazabujuban1F, 2-5-3, Azabujuban, Minato-ku, Tokyo, 106-0045, Japan. Friendly Bldg. 6-21-1, Haramachida, Machida-shi, Tokyo, 194-0013, Japan. Urabe Bld. 1F, 1-4-9, Honcho, Funabashi-shi, Chiba, 273-0005, Japan. Murataya Bld.1F,3-3, Ekimaehonmati, Kawasakiku, KawasakiCity Kanagawa, 210-0007, Japan. 2-17-14, Osu, Naka-ku Nagoya-shi, Aichi, 460-0011, Japan. 604 First court shijo nishiki1F, Nishiuoyacho, Nakagyo-ku Kyoto-shi, Kyoto, 604-8142, Japan. Fuji Bld.1F, 2-1-18, Umeda, Kita-ku Osaka-shi, Osaka, 530-0001, Japan. Guriukku Bld., 1-11-19, Motomachidori, Chuo-ku Kobe-shi, Hyogo, 650-0022, Japan. Purchased products must be brought with you when you leave Japan. *Please see a staff member for more details. Copyright DAIKOKUYA. All Rights Reserved.